They say the way to a Mama’s heart is through her children. Or maybe I’m the only one who says that. Anyway, tonight I’m writing to you because you have made a powerful difference in my daughter’s life. My oldest, now a junior in college, attended the vigil for your planned execution last March. I’m not sure what either of us were expecting, but we left there changed people. We arrived as people who believe in redemption not revenge, but when we left our stories had intertwined with yours. As I stood under the bright lights out on that cold dark evening, I faced the prison where I had no idea what you were going through. I had no idea what to pray, so I stood watching. Waiting. Letting my heart pour out everything it was feeling and watching. Hoping that you could feel God with you. And know that you are loved. By God and so many of us whom you have never met. While I stood there, focused, straining to catch a glimpse or an idea of what was going on in the building beyond the trees, my daughter sat in the camp chair we brought and she searched for information on her phone. These smart phones are pretty amazing what they can do. She dug and she was able to tell me what appeals were going on as we stood there. And then…..
That night changed her, Kelly. I saw an adult emerge that night. She was decided as we left the prison grounds and she has not looked back. She did what she had to and changed her majors to what law schools look for and what she is passionate about. Psychology and–you should know–Religious Studies. She is now an intern at a law firm and has been studying for the LSAT much of the summer. She recently read that a disproportionate number of death penalty cases come from the county where she is in school and where a law school is also located. That decided it. She wants to study law there and then become a defense attorney there as well. Tonight my heart is heavy. You are scheduled to be executed by the state tomorrow evening, September 29, at 7 p.m. The Parole board has agreed to another clemency hearing at 11 in the morning. I pray, I PRAY with my fingers crossed and my eyes closed and brow furrowed and with everything in me that they will commute your sentence to life in prison. That is what I hope will happen. My head and heart hurt too much when I contemplate what it means if they don’t. See, I became complacent. Right before your scheduled execution in March, I made calls and sent emails and shared posts and tweeted articles, and I was so overjoyed that the drugs were cloudy and there was an anti-death penalty movement growing very strong across our nation that I let it slide. I shared a story or two every now and then. I paid attention when there was an article about the cloudy drugs. I listened and I read, but spring and then summer came and went, and I was not prepared for the news of your new execution date. Kelly, I hope you can feel the energy from where you are–the furor and the drive of all the people who care for you and about you. Those of us whom you’ve met and touched directly and those whom you have not. It is my belief that your children who love you so very much deserve to have you a part of their lives for many, many years to come. It is my belief that one day we will see an end to the killing as punishment. That the death penalty will be abolished for always. I just hope I am right. The thing that I remember so strongly from that day in March, your second execution date as the snow prevented your first one from happening as scheduled, was that the day held the promise of spring. I had so hoped you were able to go out and feel the warm sun and the gentle breeze on your face. That you knew that winter was fading and spring was coming. And here we are again, on the precipice of seasons changing. Only I hope that summer is not the only season ending. I hope that the season of government executions and hatred and people standing divided will end as well. I hope that you will be here to see the leaves change, to hear the Christmas carols sung by those with great voices and those with great spirit. I hope you will ring in the New Year, knowing your season of fear and worry and time on death row is over. I hope for all of the good things. And I hope that one year in the near future, my daughter’s wish will come true. That she will be able to meet you face to face and tell you about how you changed her life. How your story being intertwined with hers for a moment set her on the path of fighting for fair trials and justice for all. But mostly so she can smile and tell you, “Thank you.” And you can see the light in her eyes that you helped put there. Redemption is a beautiful story, Kelly. And our people are fighting to choose redemption over revenge. I can only imagine what tonight is like for you. For your children. This is inhumane, in my opinion, this torture of not knowing. Oh, all the not knowing. Neither you nor the people who love you deserve the reality and fear and worry and waiting of this night. I am asking God once again to be with you this night. That perhaps you will get some rest and have peace in your heart. And the same for your children and your Sisters and all of those who care. May the peace that passes all understanding be with all of you and all of us, who join you in the worry and the waiting. Thank you, Kelly. For not letting who you were define who you were to become. For letting your story bring so much hope and heart to all of us. And for reminding us that grace abounds and love ultimately wins. CALL the GA Board of Pardons and Paroles and ask for mercy for Kelly. They’re considering Kelly’s petition and a call will make a big difference. Call, tweet, post. please! Less than 20 hours to save Kelly’s life so please call and ask others to call. Then tweet and post them too! Let’s do whatever we can to stand with Kelly! Thank you for this beautiful and powerful letter! Lisa, that is beautiful. Yes, we have failed Kelly, and it breaks my heart. My daughter and I too were struck by the heartlessness of calling so much attention to her last meal request. This might be the world we live in, but no longer will I stand idly by without trying to change it. Thank you for reading and for sharing your letter with me. Beautifully said. Last February when the first execution date was set I was teaching at Lee Arrendale State Prison where Kelly was incarcerated. (I was the Social Studies teacher helping set up the pilot program for a actual high school within the prison.) Many of my students and classroom aides knew Kelly and had been impacted by her life. I have followed Kelly’s story in prayer, by supporting her efforts to gain clemency, and keeping vigil on the second scheduled execution night. I still am keeping vigil today. Thank you for sharing. Thank you for all you are doing and the way you are changing lives. I am still hoping for good news from the clemency hearing. I appreciate you reading and sharing your story as well. Thank you! Best wishes to your daughter as she pursues her dream. 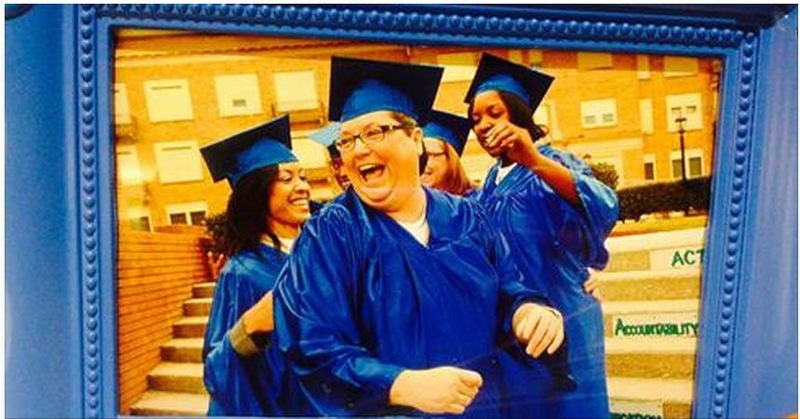 May Kelly Gissendaner, even in her death, continue to be an inspiration to even more people. Thank you. And yes, may it ever be so.